The Kanopus ST spacecraft is still attached to the Volga upper stage of a modified Soyuz rocket that was supposed to deploy the satellite into a circular sun-synchronous orbit nearly 700 kilometers (435 miles) above Earth, and experts said Monday the craft is heading for a destructive re-entry within a few days. 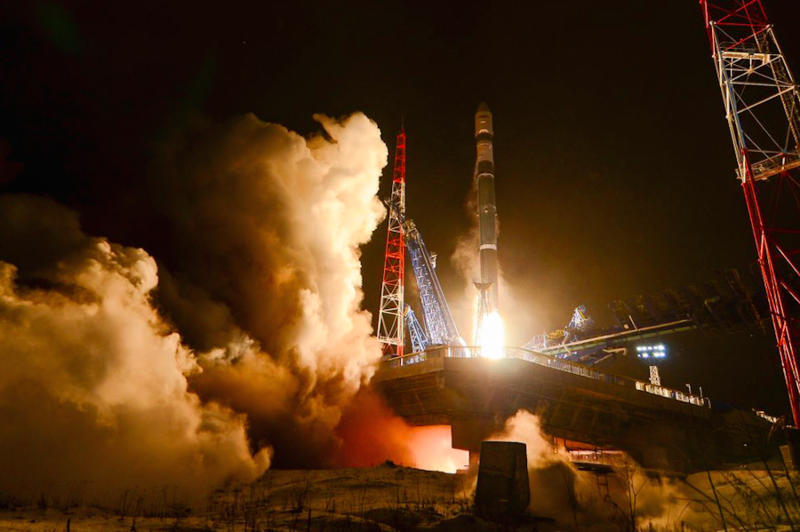 Russia’s Tass news agency and the Kommersant newspaper reported the satellite could not be separated from the Volga upper stage, which made its second flight Saturday after a successful debut in 2013. 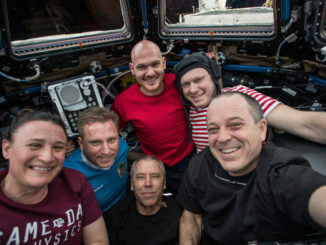 One of four locks holding the Kanopus ST satellite failed during the separation sequence, and ground controllers have been unable to contact the craft and re-issue the separation command, the state-owned Tass news agency said Monday. Tracking data published by the U.S. military showed an object believed to be the Volga upper stage — with the attached Kanopus ST satellite — in an elliptical orbit with a low point 104 kilometers (64 miles) above Earth. At such a low altitude, atmospheric drag will hasten the craft’s re-entry, which is expected some time this week, according to Jonathan McDowell, an astronomer and respected space analyst. The Volga upper stage maneuvered from Kanopus ST’s intended orbit into the lower orbit some time after Saturday’s launch. The rocket burn may have intended to send the rocket body toward a guided re-entry over the ocean, but the extra mass of the still-attached Kanopus ST satellite could have prevented the stage from reaching its targeted trajectory. A small passive secondary payload designed to help calibrate ground-based military radars apparently deployed as planned from the Volga upper stage in the correct orbit. 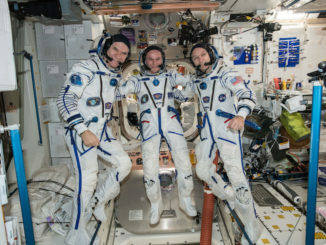 A re-entry prediction released Monday from the U.S. military’s Joint Space Operations Center indicated the Volga/Kanopus ST spacecraft could plunge back into Earth’s atmosphere as soon as Tuesday. 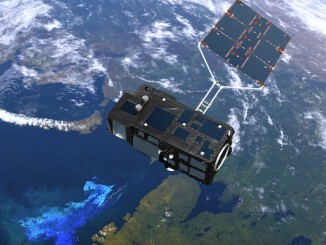 The Kanopus ST satellite carries a camera and a microwave radiometer to monitor the world’s oceans, including submarine movements, according to RussianSpaceWeb.com. The mission launched Saturday on a Soyuz 2-1v rocket, a derivative of Russia’s Soyuz rocket family without the launcher’s four liquid-fueled strap-on boosters. The Soyuz 2-1v’s core stage has a single NK-33 engine taken from stockpiles of kerosene-fed powerplants originally built for the Soviet Union’s N1 moon rocket more than 40 years ago. Saturday’s launch was the first time a version of the NK-33 engine flew since the crash of an Orbital ATK Antares rocket in October 2014. Investigators blamed that accident on an explosion inside the turbopump of one of its AJ26 engines, an “Americanized” variant of the NK-33. The NK-33 engine on Saturday’s flight apparently functioned as designed.